How to install and run a MAC on a windows or Linux systems virtually has been made easy with the tools and instructions available for download. With just a little effort you can run MAC OSX 10 Snow Leopard on your windows system or linux system. 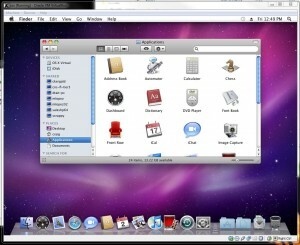 You can buy OSX at BestBuy for about $30 and get for free Vbox from the Web here at http://www.virtualbox.org/ . Then download the zip package above which includes the EmpireEFI ISO and the complete instructions on how to install into a VM using Vbox.